Depression and ‘sad mood’ – what’s the difference? Are you a Psychopath or Narcissist? Self test online. Viagra habituation – no wonder remedy after all. auch on Are you a Psychopath or Narcissist? Self test online. lokxanime on Are you a Psychopath or Narcissist? Self test online. PamelaParker on Antisocial personality disorder – what is it, really? To a high extent, the work of a psychotherapist consists of the treatment of the various forms of depression, so I’ve always tried to improve my understanding of this particular form of mental disorder – and of its most extreme form, the idea to commit suicide. So I’ve continuously gathered data on suicide – here you will find a compendium of the information I found, a sort of overview of the currently known facts and figures on this subject. It is estimated one million people a year die by suicide, which equals about one every 40 seconds – but that number may actually be even significantly higher, since the official numbers released by many countries are too low. Suicide thus contributes at least 1.5 percent of the global deaths and is the tenth leading cause of death. In 2006, 140,000 people had taken their lives, that equals 11.1 per 100,000 people. People under 25 years of age are most vulnerable (there was no significan change compared with previous years), and the elderly (where a significant decline in suicides was found). Regional differences: within Europe, the rates in the northern countries are generally slightly higher than in the southern ones. An effect of latitude on the suicide rate was found in Japan, suggesting an influence of the daily duration of sunshine. Nevertheless, other countries can have significantly different rates of suicide compared to Japan at the same latitudes, like Great Britain or Hungary for example. Suicide is a significant problem in the former Soviet states, and more than 30 percent of suicides worldwide occur in China, where 3.6 percent of all deaths are attributed to suicide. Regarding the impact of light/solar radiation by correlating the suicide rate with the number of hours of sunshine a day, a seasonal clustering of cases of suicides could be proved in 2011 in a study by the Medical University of Vienna that was published in the journal “Comprehensive Psychiatry”. One possible explanation for this ostensible contradiction could be that in an environment where many other people are ‘happy’, own discontent, own suffering is felt more strongly. If there is also despair of beign able to achieve a change, certain personality types may see suicide as a way out. A few more details about Austria: in Salzburg, the Crisis Intervention Center (‘Kriseninterventions-Zentrum’; of others, I don’t have any data) recorded a significant increase in patients in their teens in 2010. In Austria, about twice as many people die by their own hand than after traffic accidents every year. In 2002, 1.551 chose to commit suicide, including 50 children and adolescents aged ten to 20 years. Self-injuries in children are also on the rise. At the whole of Austria, the suicide rate of the early 1960’s has risen sharply until the mid-1980’s – to 24 suicides per 100,000 of the population. Since then, the rate decreased and it is now (as already mentioned above), at 13 per 100,000 per year. This equals about 1,300 suicides per year. However, there are growing doubts within the Austrian scientific community as to the accuracy of these statistics, and I want to outline them a bit further to help you, the reader, understnad the underlying problems of suicide studies: fewer and fewer autopsies are performed as in Austria, which decreases the possibility to distinguish suicides from natural deaths. Thus, in countries with the highest autopsy rates as in the Baltic states or Hungary, the suicide rates are generally higher than in countries with low autopsy rates. Similarly, in countries where autopsy rates are declining, at the same time there are also increasingly fewer registered suicides (Source: Archives of General Psychiatry 2011 (Link). So with statistics like these, there is always reason to question whether such statistics can be trusted at all. More gender-related details: is in the developed countries, the gender ratio of suicides is roughly 2-4 (men) : 1 (women) and seems to be increasing. Asian countries show a smaller ratio, but it seems to be increasing as well. Only China has more women than men dying from suicide. Autopsies of suicide victims showed changes in central neurotransmission functions, such as the serotonin system (mood-regulating hormones). Low cholesterol concentrations are associated with higher suicide risk, but the risk is greater if the lower cholesterol level was reached with diets rather than by using statins. The authors suppose that this may stem from the fact that dieting people have a higher risk of mental problems, but so far, there was no corroborating evidence for this theory. 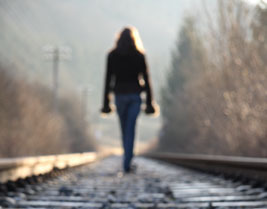 Furthermore, family histories of suicide at least double the risk for girls and women. Although the evidence is scanty here as well, a number of researchers suggest that high levels of aggressive behaviors and impulsiveness may also be associated with an increased risk of suicide. Especially in young boys, suicide rates increase over the years of their growing up, while a higher suicide risk because of hereditary components was primarily detected on the maternal side. Suicide rates are higher among non-workers (unemployed, retired etc.) than among employed persons/professionals. Higher rates are also partly linked to mental illness, which in turn has a connection with unemployment. Among the professionals, however, some groups show an increased risk: medical practitioners have a high risk in most countries, and doctors (and related jobs in the health professions) generally have the highest risk. Nurses also have a high risk. Particularly in these groups, the easy access to venoms seems to be an important factor influencing the high rates. Anesthesiologists are particularly vulnerable among physicians because narcotic drugs are used in many suicides. Several other high-risk professions are dentists, pharmacists, veterinarians and farmers. In most countries, suicide rates are highest amongst elder people, however, in the past 50 years, the rates among the younger population has increased as well, especially in men. Suicides are committed most frequently in spring, especially among men as well. People born during spring or early summer have an increased risk of suicide, especially women. Americans of European descent have higher suicide rates than Americans of Latin American or African origin, with this difference increasingly leveling out amongst young African Americans due to the increased suicide rate among young African Americans slowly. Indigenous groups such as Aborigines in Australia and Native Americans also have higher suicide rates, possibly due to cultural, social exclusion and greater alcohol abuse. Quite generally, men prefer more violent means of suicide (for example, by strangulation or shooting themselves), and women ‘softer’ forms (self-poisoning), which is probably the explanation for the sharp difference in successful suicides between men and women (see above) and the suicide attempts that both sexes undergo in about equal rates. Different cultures show different preferences in methods, in South Asia for example, women typically burn themselves. Access to specific methods could be the factor that finally leads to putting suicidal thoughts into action. In the U.S., firearms are used for by far the most suicides, with the risk of using them for this purpose being the highest where guns are found in households. In the rural areas of many developing countries, the ingestion of pesticides is the most common method, which reflects the toxicity, easy availability and the lack of storage. At up to 30 percent of suicides worldwide, pesticides are involved. Mental health problems are a major factor in suicides. It is believed that of about 90 percent of people who kill themselves, they suffered from a kind of psychiatric disorder. Depression increases the risk to the 15- to 20-fold, and about 4% of patients suffering from depression die by suicide – but only about 20-30% of depression are recognized (!). But even for those, in most cases many years are passing to the correct diagnosis, and then, still, less than 50% of the diagnosed patients ever starts looking for a psychotherapy and/or receives pure pharmacological support. This means that most people suffer on a chronical basis, but don’t search – or can’t find – adequate help. Clinical signs of suicide where depression was involved, are patients with previous self-harm, hopelessness and suicidal tendencies. About 10-15% of patients with bipolar disorder die by suicide, but the risk is highest at the beginning of the disease. About 5% of schizophrenia patients also die by suicide. Alcohol abuse, anorexia, attention deficit-hyperactivity disorder (ADHD) and body dysmorphic disorder (KDS) all increase the risk of suicide. Especially the last example explains in part why the risk increases in women after breast-enlarging surgeries. Physical health also plays a role, but with some strange results. Surprisingly, people with higher body mass index (BMI) have a significantly greater risk of depression, however, their risk of suicide is lower (15% decrease in suicide risk per 5 kg per square meter of body surface area increase in BMI). The reasons for this are unknown. Cancers, particularly of the head and neck, HIV / AIDS, multiple sclerosis, epilepsy and several other diseases also increase the risk of suicide. A ‘hot potato’ in the psychiatric community are recent studies showing that even antidepressants can induce suicidal thoughts not only in adolescents, but also in adults. I already posted a few articles related to these studies in this blog. In addition to rising suicide rates, there is also an increase in self-harm among young people, as pedagogues report in many Western countries. The reasons for this may be traumatic experiences in early childhood. The brain has a high plasticity and very vulnerable to external factors during this stage of development. Serious diseases, sexual abuse, neglect and lack of communication in bringing up – often caused by hours in front of the television or computer games – are also considered to be significant risk factors for later suicide attempts. They may also cause children and adolescents to harm themselves physically. Burned skin from cigarettes or scratches from knifes or razor blades must be understood as a cry for help. While in 1950, only 40% of people who attempted suicides were under 45 according to the WHO, we were already at 55% in 2004. A reason for depression occurring at earlier stages of life might be the earlier onset of puberty and the decaying of family structures. If there is healthy communication within the family, and if common concerns and problems can be expressed and discussed, it is much easier for young people to overcome a crisis. How can suicided be prevented? The claim to be able to prevent suicides would be a difficult one to fulfill because of the large number of factors that are involved until it actually comes to a suicide attempt. Strategies could be aimed at high-risk groups or trying to reduce the risks for the population as a whole. Firstly, any person with depression should be checked for suicide risk by professionals specifically asking about suicidal thoughts and plans. This shows the importance of specific training and sensitivity of physicians who are often enough the only ‘professionals’ many depressive persons might have contact to at the first place. Studies from the Nordic countries show a decline in suicide rates by 20 to 30% after general practitioners were trained to recognize depression properly and to help patients to get appropriate therapy (psychotherapy and supportive pharmaceutical measures). In cases of high or imminent suicide risk, immediate action is necessary, including vigilance and monitoring of those affected, possibly through hospitalization. In addition, potential tools that may be used for suicide attempts have to be removed and an aggressive treatment of the associated psychiatric disorder be initiated. A restriction of access to potentially lethal substances or tools can indeed help to prevent suicides. The introduction of security cameras on bridges and increased control of firearms, as well as the safer storage of pesticides and poisons (especially in rural areas of developing countries) has been proven to significantly reduce the risks. Education programs to improve the mental well-being as well as stricter control of the media reporting of suicides could also have preventive effects. On the objection that persons who wish to commit suicide would find ways and means to realize their goal in any case it may come as a surprise that for example when switching from toxic coal gas to non-toxic North Sea gas in the UK, the suicide numbers declined dramatically, while, for example in Japan right after the release of two films that were romantically idealizing the issue of suicide, the corresponding numbers increased significantly. Helsinki had the world’s highest suicide rate in the 90s and was able to cut it to 18 per 100,000 through prevention programs. Because on the internet – in addition to advice and instructions for suicide in ‘suicide forums’ – a new trend had been detected in Japan to arrange collective suicides online, the government of South Korea (which had recently suffered the world’s largest increase of suicides, see above) will block related Internet sites, and there are also plans to make it more difficult to find information about suicide on Internet portals by blocking specific keywords such as suicide, ‘how can I die’, ‘collective suicide’, ‘suicide techniques’ and others. In addition the government plans to create a legal basis for the police to request the personal information of Internet users from their service providers who promote suicide or offer advice to persons willing to undergo suicide. The challenges to prevent suicides in developing countries requires special attention, as most of the suicide-related research is done in developed countries, while the highest suicide rates are in fact found in developing countries. On nation-wide measures it is also worth mentioning that after a recent meta-analysis of randomized studies (, ) had suggested that the risk of death and suicide in people with mood disorders receiving lithium has been reduced by 60 percent, researchers have brought up the idea of adding small doses of Lithium to tap water. Family members and the social environment in general also have an essential role. Relatives may be the first ones who can notice that someone might isolate himself or is depressed. It is of utmost importance to recognize these signs (see article about presuicidal syndrome) and to talk to the affected person about it. Nevertheless, the options and means of family members and friends are often limited – it is therefore important to involve external help (a psychotherapist, counselor, psychiatrist or at least a family doctor) if one feels overwhelmed or feels no longer able to reach the person. That psychological treatment can prevent a suicide in many cases is a well known fact that has been proven in numerous studies. The World Health Report 2001 already reported, quoting several studies, that some mental disorders may be chronic and of long duration, but that with proper treatment, those suffering from mental disorders can now lead a productive life and participate in their communities. Up to 60% of people suffering from severe depression can get well with the right combination of psychotherapy and antidepressants. I’ve written a detailed article on this topic in the publications section of my German-language website, which specifically describes and comments the latest standards for the treatment of depression. (Further sources: APA, AZ, Der Standard 03.06.04, The Lancet Vol. 373, Issue 9672, p.1372-1381, 18 April 2009, Telepolis , see also links to sources right within the article. This blog entry was first published in 12/2009; continuously updated as soon as I get aware of new facts. Last updated: 12/2012). Legal stuff, Copyright • Questions? Hints? • Updated: 23.Feb.2019.